The infestation of pests at home can be most annoying and irksome not to mention unhygienic. The bees are among the most common pests and what is more they can sting really bad. This is the reason that hiring an efficient pest control service is very important do away with the bees. The bees control Brisbane promises to do the job efficiently with its team of skilled workers and years of experience, in clearing out your home. A colony of bees in your garden or backyard can be very hard to get rid so it is imperative to call for professional help since they have the necessary know how, latest gadgets and experience. 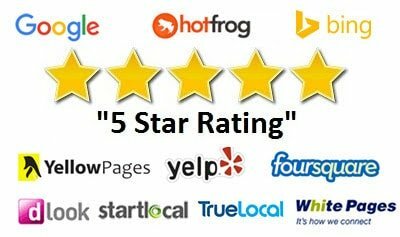 There will be so many pest control companies in the market vying for attention and service however you need to know right kind of specialization services. This is where the bees removal Brisbane company comes into play. Knowing about the previous kind of work done by them provides an insight into the kind of pest removal and management strategies which they would use. There are hundreds and hundreds of bee species depending upon which the termination methods are used. The spring is supposed to be the moving season for the bees. It is because the hives become very congested. When the honey or nectar is gathered from the spring flowers, more bees join the colony. Then the queen bee decides to split up the current colony either because of disease or overpopulation then infestation of bees in other places starts. This colony of bees can make its home anywhere be it a cavity, a dark corner of the house and a letterbox or anywhere they can find space. The most important thing to remember is that the bees wont harm you unless they are provoked. Thus it is much better to opt for the expert services of the bees removal Brisbane. The bees control Brisbane has expert servicemen to clear your property of bees. It is advised that if there are children in the house to keep them at a safe distance from the honeycomb. Once the bees removal Brisbane exterminators have removed the bees, the honey is left outside to dry. Then the hive is destroyed using successful bee control chemicals. There are multiple reasons for choosing the bees control Brisbane. It has a three month warranty too which means that if the bees return, the servicemen come to fix it free of cost. Plus the work methods are excellent and stress free. 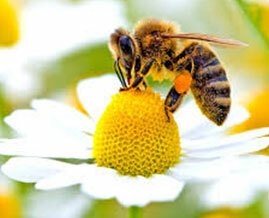 The exterminators also do bee termination services for commercial sectors as well. In fact it is a very smooth sailing and hassle free process with the bees removal Brisbane. services. It is veteran in clearing out the bees from your house walls as well as your gardens. The clients can fill out an online form or book an appointment with the expert servicemen to clear the property of bees. Hiring the services of the adroit bee pest control service program is a surefire way to keep your property clean.